This Portable Solar Hand Crank Flashlight with FM Radio and Power Bank will complete your survival kit! 3-in-1 function – Save space and money with this all-in-one device. 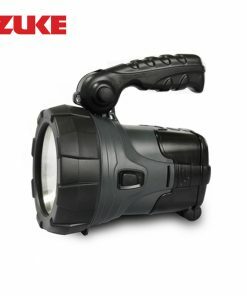 This works not only as flashlight but also as an FM radio and phone charger. 3 energy sources – It is rechargeable via solar, kinetic (hand cranking), and electrical (USB port) energy. Every home should at least have one survival kit in case of emergencies and sudden power outage. 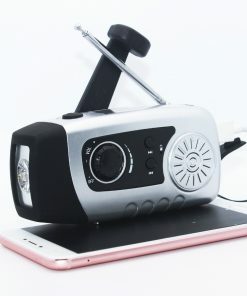 To complete it, grab one or two of this Portable Solar Hand Crank Flashlight with Fm Radio and Phone Charger! To complete the package, it has 3 energy sources! It is rechargeable via solar, kinetic (hand crank), or electrical (USB port) energy.